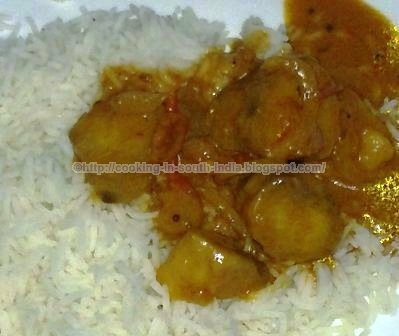 Karunai kizhangu is called Yam Ordinary in English and Karanai kizhangu Puli Kulambu is a popular recipe in Tamil Nadu which is a good combination for rice in lunch time. Wash and boil the Karunai kizhangu separately, add some lime juice while boiling. After spluttering add the Big Onion lengthwise chopped, Small Onion, Chopped Tomato, Garlic, Curry leaves and Astofodia/Parungayam. Add salt, boil the kulambhu for 10 min. 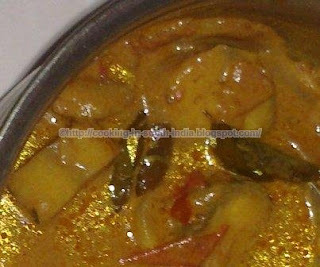 Tasty Karunai kizhangu Pulli Kulambhu is ready, this will goes with rice.